Liu Kang is back, but now he’s up against Scorpion, who I’d say is one of the strongest Mortal Kombat characters! Not only was he an awesome character in the film, but his abilities are very potent. Like Liu Kang, Scorpion uses a lot of fire abilities. He also has one significant advantage over Liu Kang, which is his ability to teleport. This can shift the outcome of almost any battle and it’s not something that Liu Kang will be able to overcome. Scorpion (MK) wins. This entry was posted in Battles, Liu Kang Battles, Scorpion( MK) Battles and tagged Liu Kang, Scorpion (MK) by dreager1. Bookmark the permalink. Scorpion is by no means the strongest in MK. Liu Kang should and will always defeat him because Liu Kang is the Batman of MK. Not to mention Raiden and Shao Khan who are considered MK Gods. They would easily wipe the floor with Scorpion. Well, I did say that he was one of the strongest. I think it would definitely be a good fight against Raiden and Shao Khan. 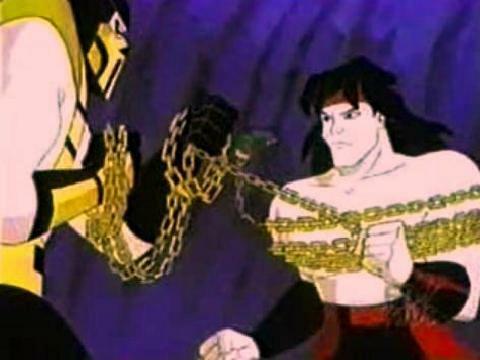 Liu Kang is skilled, but Scorpion’s supernatural abilities give him a bit of an edge in this round. I’m sorry but your whole supernatural abilities on Scorpion are meaningless. Have you played the mortal kombat games because Liu actually beat Scorpion and he had help from Quan Chi. Scorpion never beat Liu when he had the chance of fighting him please take the story line into consideration before assuming facts that can be proven wrong. That’s true. Except in Super Smash it gets a little interesting. You could be the greatest Pac-Man player in the world, but it won’t be enough if I take out my pocket Cloud. He just shuts the Pacster down.